Preface: The Charter for the Protection and Management of the Underwater Cultural Heritage (1996) was adopted by the 11th ICOMOS General Assembly, Sofia, Bulgaria, 5-9 October, 1996. The Charter addresses the conservation needs of underwater cultural property; it is intended to supplement the ICOMOS Charter for the Protection and Management of Archaeological Heritage of 1990. 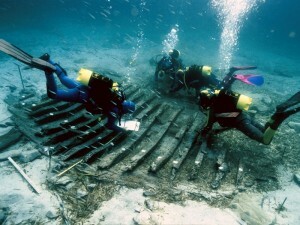 The Charter outlines fundamental principles for the conservation of the underwater heritage and discusses issues of funding, research objectives, qualifications of the team members, investigation, documentation, material conservation, management and maintenance of the site, and dissemination of information about the underwater heritage. Preservation in situ is given first preference. The Charter stresses that archaeological material must be treated during the investigation as well as during transit and over the long term. It encourages international cooperation and exchange of specialists to facilitate and improve research and investigations of the underwater heritage. It also encourages dissemination of information to the public regarding the significance of the underwater heritage and coordination and communication with concerned communities regarding proposed investigations. Ancient Greek ships carried more than just wine. Researchers were able to retrieve DNA from ancient Greek amphorae and use it to determine what the jars once held. A DNA analysis of ancient storage jars suggests that Greek sailors traded a wide range of foods — not just wine, as many historians have assumed. The study, in press at the Journal of Archaeological Science1, finds evidence of vegetables, herbs and nuts in nine jars taken from Mediterranean shipwrecks. The researchers say DNA testing of underwater artefacts from different time periods could help to reveal how such complex markets developed across the Mediterranean. The researchers found grape DNA — as would be expected for containers of wine — in only five of the nine jars, and olive DNA, possibly from olive oil, in six of them. Other ‘hits’ included DNA from legumes, ginger, walnut and juniper and from herbs such as mint, thyme and oregano. Amphorae have been found in their thousands in wrecks all over the Mediterranean Sea. Some of them contain residues of food, such as olive pits and fish bones, but the vast majority of them are discovered empty and unmarked. Foley says historians tend to assume that these containers were used mainly to transport wine — in a survey of 27 peer-reviewed studies describing 5,860 amphorae, he found that 95% of the jars were described as having carried the beverage. To test that assumption, he and Hansson first investigated an amphora that was donated to WHOI by the French diver and explorer Jacques Cousteau, but it yielded only a Carling Black Label beer can from the 1950s. So they gained permission from Greek authorities to test amphorae that had been held in storerooms in Athens since their retrieval as many as 20 years ago. This time, the tests were successful, possibly because the jars had been kept in the dark, protecting the DNA from the damaging effects of sunlight. The range of ingredients found in each jar suggests that amphorae were commonly reused, and that they may have contained more complex foodstuffs than previously imagined, incorporating herbal flavourings or preservatives. Mark Lawall, a specialist in ancient Mediterranean trade at the University of Manitoba in Winnipeg, says that historians have been quick to make assumptions about how the jars were used. “They just restated the common opinion without any thought,” he says. He says the team’s results fit with other archaeological and written evidence suggesting wine, oil and honey were traded, as well as fruit, fish, meat and resin. He says the DNA approach offers “great promise for advances in terms of analysing amphora contents from archaeologically documented wrecks”, where DNA data can be combined with other sources of information about a ship and its contents. This is indeed the team’s plan — they already have plans to analyse samples taken from a fully excavated third-century-BC wreck that was found near Kyrenia, Cyprus. Foley says he would also like to screen amphorae of different ages to build a picture of how ancient trade developed over time, pinpointing when different crops were introduced. Theotokis Theodoulou, an archaeologist at the Ephorate of Underwater Antiquities in Athens and a co-author on the paper, says there are “several thousand” amphorae held in store rooms around Greece, which could now be tested. 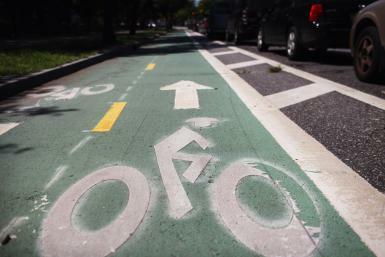 “Even when they have been in store rooms for two decades, DNA is still on them,” he says. The study of DNA from underwater artefacts is still in its infancy, but in theory, the stable temperatures and pH of sea water should preserve DNA well, adds Matthew Collins, a bioarchaeologist from the University of York, UK. As China builds a modern armada, it is pouring money into underwater archaeology and rewriting the history of its early exploits on the high seas. Rock the boat. 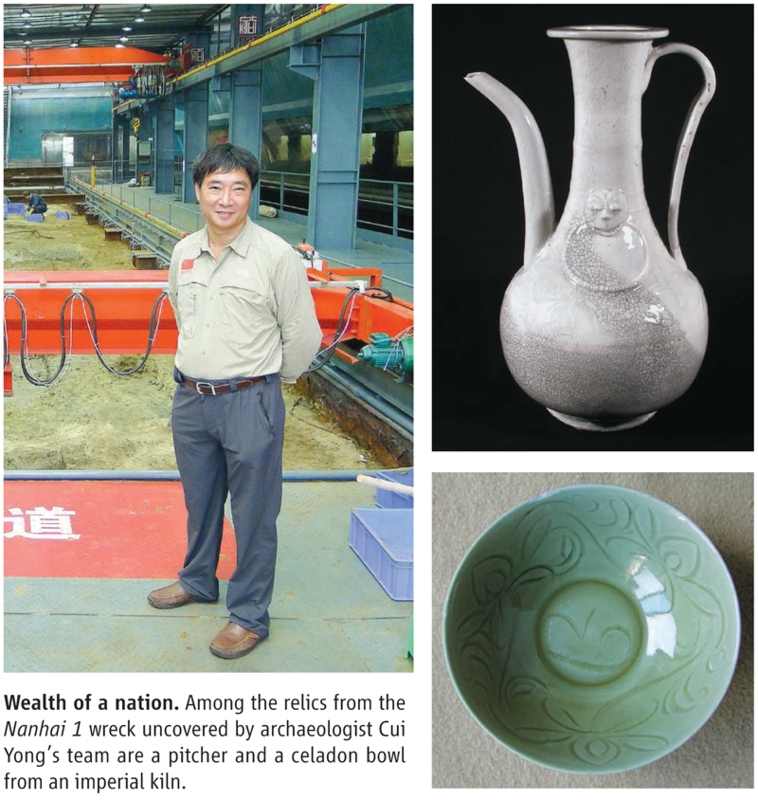 China raised the Song dynasty–era Nanhai 1 from the sea floor intact. A lavish new museum houses the wreck. Oceans to explore. 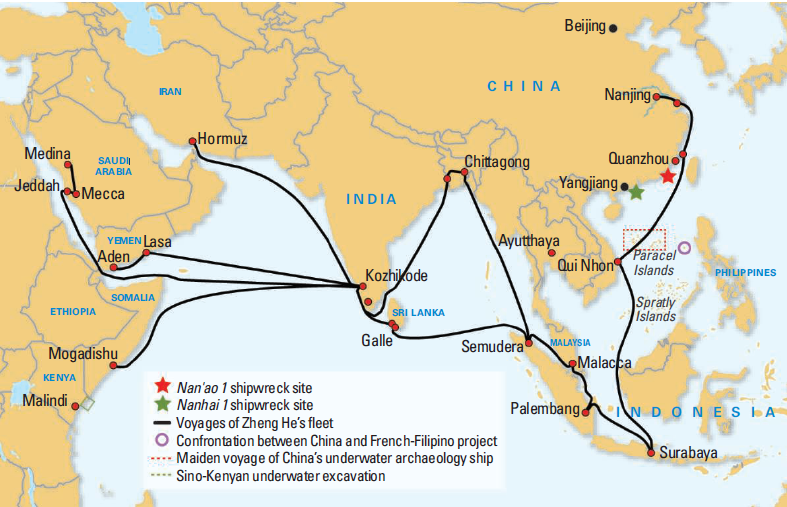 China’s underwater archaeology projects extend from the South China Sea to East African waters reached by Adm. Zheng He’s 15th century fleet. Westward bound. 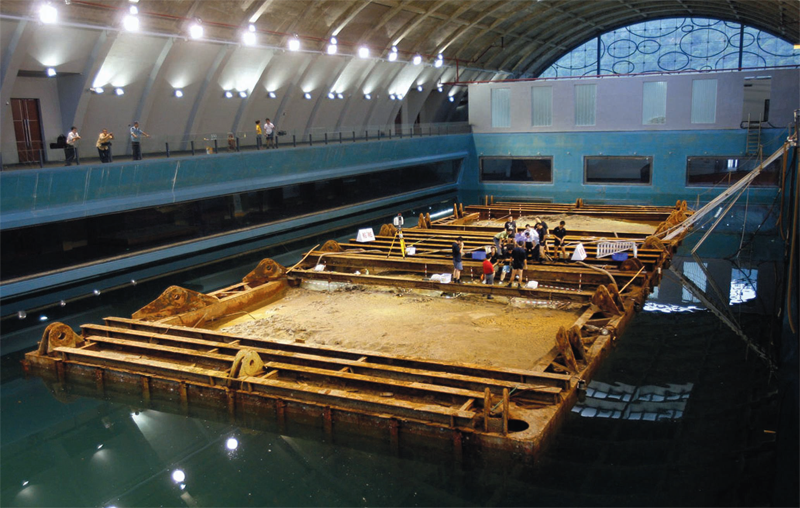 Now moored in mud in a museum, Nanhai 1 is one of two major wrecks from the Maritime Silk Road. Dove or hawk? 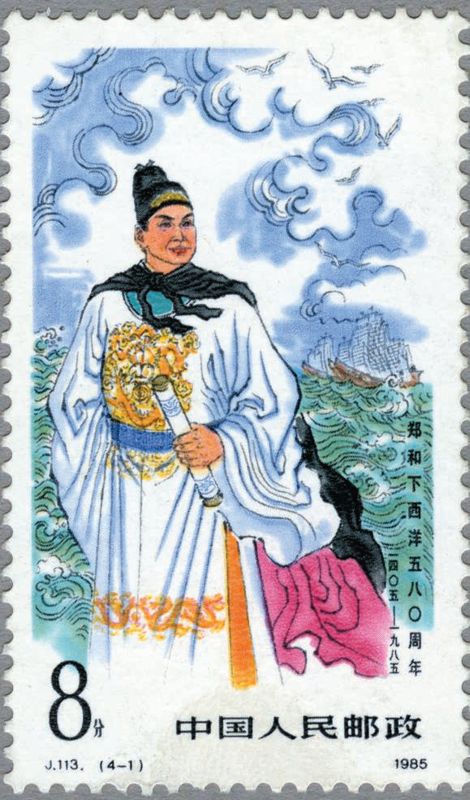 Officials have portrayed the 15th century admiral Zheng He as an ambassador of peace and a model for China’s current policies. The Charter addresses the conservation needs of underwater cultural property; it is intended to supplement the ICOMOS Charter for the Protection and Management of Archaeological Heritage of 1990. It outlines fundamental principles for the conservation of the underwater heritage and discusses issues of funding, research objectives, qualifications of the team members, investigation, documentation, material conservation, management and maintenance of the site, and dissemination of information about the underwater heritage. Preservation in situ is given first preference. It stresses that archaeological material must be treated during the investigation as well as during transit and over the long term. It encourages international cooperation and exchange of specialists to facilitate and improve research and investigations of the underwater heritage. It also encourages dissemination of information to the public regarding the significance of the underwater heritage and coordination and communication with concerned communities regarding proposed investigations. Vogel, G. 2003. “Sweden Launches a Desperate Bid to Save Famous Warship.” Science 301 (5639): 1459–1459. doi:10.1126/science.301.5639.1459. One wreck had been raised intact successfully: the Vasa, a 17th century Swedish warship that was lifted from the bottom of Stockholm harbor in 1961. Langmoen, Iver A. 2005. “The Norse Discovery of America.” Neurosurgery 57 (6): 1076–87. doi:10.1227/01.NEU.0000144825.92264.C4. Bawaya, Michael. 2006. “Archaeology: Digital Digs.” Nature 440 (7088): 1106–7. doi:10.1038/4401106a. Marchant, Jo. 2006. “In Search of Lost Time.” Nature 444 (7119): 534–38. doi:10.1038/444534a. Marchant, Jo. 2012. “Underwater Archaeology: Hunt for the Ancient Mariner.” Nature 481 (7382): 426–28. doi:10.1038/481426a. Marchant, Jo. 2011. “Ancient Greek Ships Carried More than Just Wine.” Nature, October. doi:10.1038/news.2011.594. Poulakakis, N., A. Tselikas, I. Bitsakis, M. Mylonas, and P. Lymberakis. 2007. “Ancient DNA and the Genetic Signature of Ancient Greek Manuscripts.” Journal of Archaeological Science 34 (5): 675–80. doi:10.1016/j.jas.2006.06.013. Foley, Brendan P., Maria C. Hansson, Dimitris P. Kourkoumelis, and Theotokis A. Theodoulou. 2012. “Aspects of Ancient Greek Trade Re-Evaluated with Amphora DNA Evidence.” Journal of Archaeological Science 39 (2): 389–98. doi:10.1016/j.jas.2011.09.025. Nanhai 1 was saved by silt that had quickly engulfed it. But the Vasa was a special case: The harbor’s frigid, less saline waters had shielded its hull from marine worms that devour wood. Sulfuric acid has infused the hull of the wooden ship Vasa, one of the largest shipwrecks ever to be salvaged intact, and is dissolving it from the inside out. Thirty years ago, China didn’t have a single underwater archaeologist. Today the country is spearheading exploratory missions in its waters and beyond, with an estimated hundreds of wrecks awaiting excavation. As it makes a soft power push into Asia and Africa, China is also resuscitating the memory of the 15th century seafarer Zheng He, claiming that his voyages were peaceful, and funding projects in countries with submerged riches. But foreign archaeologists note that the outlay comes as China is pressing territorial claims in the South China Sea—and worry that Zheng He’s history is being rewritten. Lawler, A., 2014. “Sailing Sinbad’s seas”. Science, 344 (6191), 1440–1445. Kintigh, Keith. 2013. 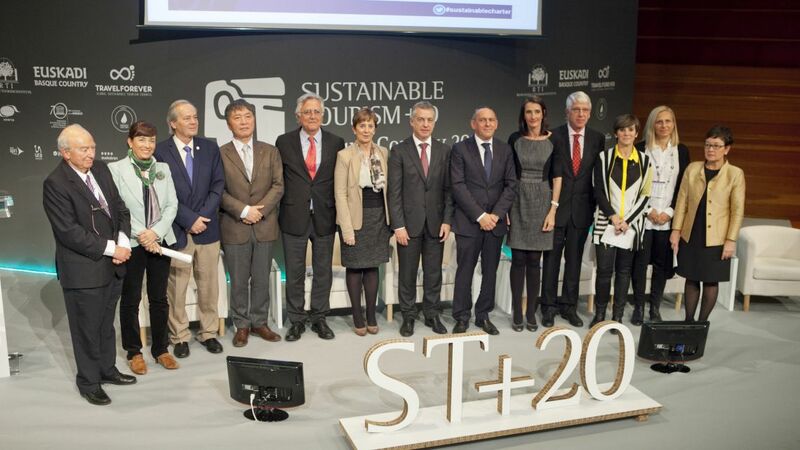 Grand Challenges for Archaeology – Crowd Sourcing Report. Tempe, Arizona: The Digital Archaeological Record. doi:10.6067/XCV8R78G30. Kintigh, Keith W., Jeffrey H. Altschul, Mary C. Beaudry, Robert D. Drennan, Ann P. Kinzig, Timothy A. Kohler, W. Fredrick Limp, et al. 2014. “Grand Challenges for Archaeology.” Proceedings of the National Academy of Sciences 111 (3): 879–80. doi:10.1073/pnas.1324000111. saying last month that he was still at roughly ;80 percenthealth.